In today’s world of smartphones, video games and instant gratification, the idea of taking your kids out on a museum trip may be daunting. Kids have notoriously short attention spans and, as they are likely to lack prior knowledge related to the exhibits, you may be worried that they will quickly get bored. Most museums in Los Angeles offer a feast for the senses and will encourage kids to compare and contrast the sights and sounds around them. An art museum, for example, will help develop their critical faculties in relation to artistic styles, techniques, and subjects. Adults can help in this process by engaging in conversations with kids about the exhibits. Visiting a museum represents the perfect opportunity for children to ask questions about new subjects and to satisfy their innately curious minds. Indeed, finding answers to questions is a great way for kids to learn the value in asking questions. Whilst most schools try to offer a history curriculum that spans a range of eras and geographies, it would be impossible to teach lessons that covered the entire history of people and the world. If you have a future historian on your hands, it is well worth taking them out to museums to supplement the knowledge they get from elsewhere. Most museums have exhibits designed specifically for kids, encouraging interactivity and creative activities for kids to get involved with. Art galleries, for example, represent the perfect opportunity for young people to try their hand at drawing. Check out the museum’s event listings prior to your visit so you can make the most of any learning experiences on offer. 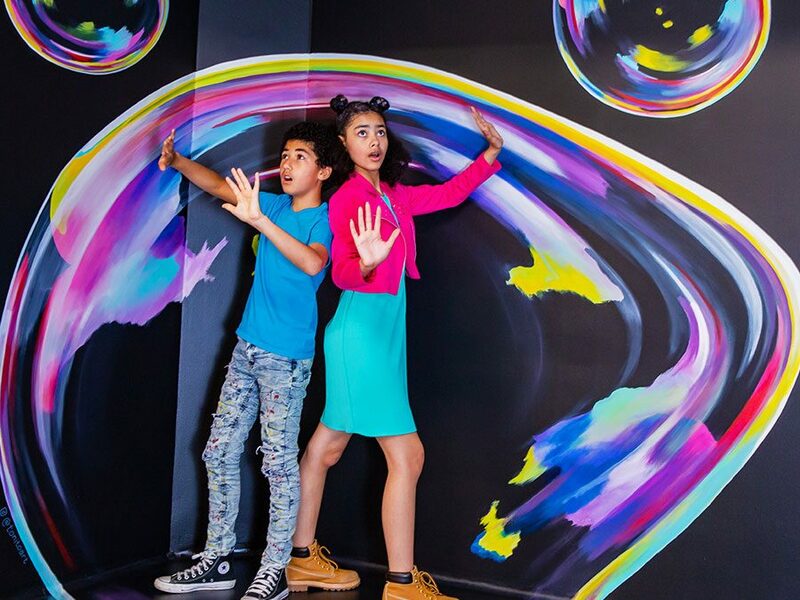 The Museum of Illusions is one of the best museums in LA to inspire kids to interact with their surroundings and learn while having fun. Taking photos is a key part of the experience, which means you’ll have plenty of memories of the day which fosters a positive memory they’ll treasure forever. A visitor to the Museum of Illusions is not a passive observer but a full-fledged participant of the paintings created by the best artists. This is a place where photography is not just encouraged – it is part and parcel of the exhibition.